Designing - On The Needles Or On Paper? I don't know what I thought designers did before I decided to try being one. In fact, I'm not sure I really know now. I mean, I think there must be as many ways to design a knitting pattern as there are designers. I certainly hear people talking about completely different methods of getting a design from their heads onto the paper. Some designers talk about "designing on the needles". They try stitches as they go, experiment with shaping, construction and colour combinations and rip back over and over until they get what they're looking for. And then they write it down. Well, then they try to. The most common thing I hear from designers is that when they're designing "on the needles" they invariably make scribbled notes, later forgetting what on earth they've written and not remembering what they've done they have to reverse engineer their design to make sense of the illegible writing (or no writing at all) and numbers (or none at all). "Must make better notes" seems to be a common resolution. 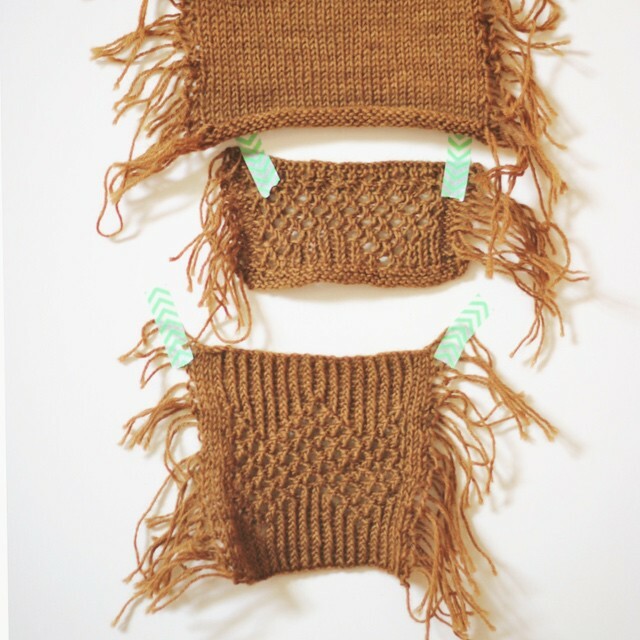 It seems fairly universal that we fail to remember specifics of what we've knitted once we've finished, no matter how obvious and easy it seems to us at the time. Another type of designer plans, swatches and meticulously practices various parts of their design in advance. Writes the pattern and then picks up needles to knit the sample. And "boom" life is easy and they're done. I like that type of designer. I rather long to be that type of designer. Unfortunately, I fear I fall smack between the two types of designers I describe. I start well, swatch, practice, knit ideas and try things out. Then, I sit down and write the bare bones of a pattern. Often I make charts and knit from those, adding the written instructions later. But, usually, a wee way into my knitting, when I start to see things coming together, I change my mind. I start designing "on the needles". And, it's slippery slope from there into the chaos of scanty notes. p.s. If it takes me a little while to respond to your comments don't panic. This post will reach you after I've headed off on holiday ... I thought it would be nice to keep my blog posts ticking along so I've written a couple of posts in advance. I'll be back soon! 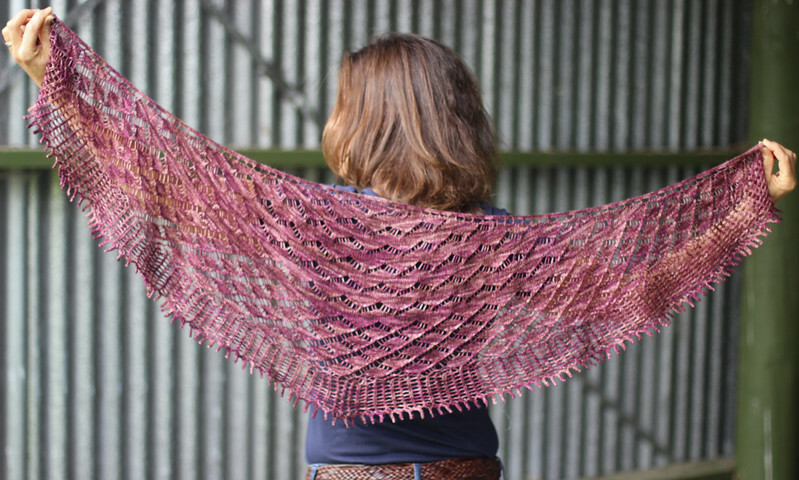 The Mindful Shawl has been published! It's a fantastic feeling to publish a pattern. Lots of energy and hard work goes into creating it and getting it just right and it's exciting to release it into the world. 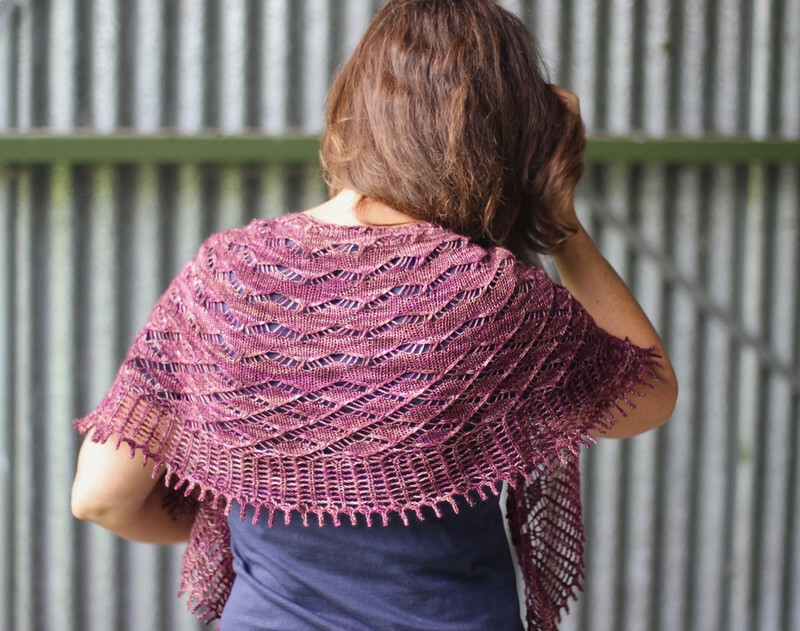 I'm left with a real feeling of satisfaction after publishing my Mindful Shawl pattern. I was so inspired by the colours of this yarn to make something with dramatic and at the same time I was relishing the idea of a design that would fire up my brain and I could get my teeth into. I think I've managed to do both with this design. I love the striking lace patterns that flow one into the other. They have a symmetry and rhythm to them which keeps your hands eager to keep going and your mind engaged. The border and bind off just finish it all off don't they? The last section of lace is a relaxing knit. A simple repeat that you'll remember in no time and it's easy to read in your knitting so that means you'll be able to knit for longer without glancing at your pattern. I'm super pleased with the picot bind off. The points are emphasised beautifully with a good blocking. I found using my blocking wires worked wonderfully to pull each tip out fully. This is how I will mostly wear my Mindful Shawl. Flung around my neck to keep me toasty and jazzing up my outfit at the same time. I love the versatility of crescent shawls. They're so fabulously wearable. 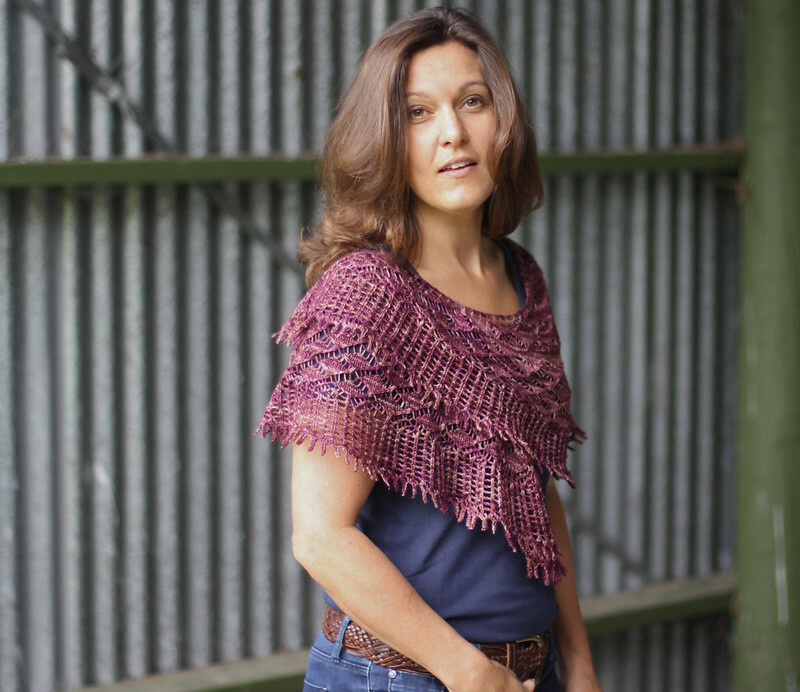 If you're interested in knitting a Mindful Shawl for yourself, it's available to purchase in my Ravelry shop now. My journey towards the "fantastic weekend sweater" has begun. I've been playing around with ideas in my head and I've been knitting them up to see how they look. Remember I started with a DK weight woollen spun Romney wool? I bought it from Rosewood Wool and it's locally grown and spun wool, naturally dyed with Henna. The yarn is super inspiring. It's rustic and hairy and coarser to the touch than yarn I've been using lately. It feels like good old-fashioned wool and I'm I'm really enjoying working with it. My idea started with a vision of a comfortable sweater. At first, while I could imagine the places I'd wear it, what I might wear it with and how I'd yank my sleeves down and curl up in it, the details of my sweater were still a little vague. I just knew it needed to be comfy so I decided to dissect exactly what that meant to me. It turned out that in this case "comfy" meant; something sloppy, with good drape but not too heavy. And, including some texture but not too much, probably just as a detail. A picture started to form in my mind and I thought a bit about how I'd knit it. I liked the idea of knitting it in one piece and preferably from the top down so I could try it on as I went. It turned out my idea of comfy included comfortable, pleasant knitting as well as how the sweater felt to wear. Over the next few days my ideas slowly evolved. Little snippets came to me as I was doing something totally unrelated like driving the car or taking a shower. I realised I this sweater needed a soft stockinette body and I was inspired to try knitting a swatch with a larger than usual needle size to create a more fluid fabric. Then, another day, I was struck with the idea that I fancied a sweater that curved gently over my shoulders and I decided it'd have a rounded yoke rather than raglan or set in sleeves. I remembered a stitch pattern that had caught my eye a while ago in one of my stitch dictionaries, so I fished it out. Lace chevron inset into twisted ribbing. Interesting. I wondered if I could use that somehow? I abandoned my first swatch once I decided that it looked too loose. Smaller needles knitted up much better and I loved the chevron in the ribbing but when I draped it on my wrist it was clear that the detail was lost. I wondered if the chevrons needed to be smaller? So, that's where I'm at. I'm still swatching and trying out ideas. My next job is to rewrite the lace chevron pattern to make it smaller and knit another swatch to see how it goes. I'll report back soon! Thank you so much for your kind messages and comments in response to my blog post last week. I'm feeling so relieved that you enjoy what I have to say! Thank you! Have you caught up with the recent blog posts and podcast on Kate's blog A Playful day? Kate is the brains behind this series of posts dedicated to loving your blog and I've been feeling motivated by what she and her guests have to say. If you're a blogger (and even if you're not) I recommend popping over for a read. The prompt for the post this week was "beginnings" and when I first read it I have to admit I thought "oh no, not another one!". Another beginning that is. My last year and a half has been full to overflowing with beginnings - moving halfway around the world, buying a new house, starting a new life, new school, new friends - you name it, we've begun it. My first reaction felt a bit like exhaustion - a part of me is kinda over beginnings. I've got a vision in my head of the perfect sloppy sweater. You know the kind? The curl up in front of the fire on a wet wintery day kind. The chuck it over your jeans to nip out to grab a kid from sports practice kind. The pull it down over your hands while you take an evening wander around your garden kind. The familiar, comfortable, favourite sweater kind. I'm sure you know it. 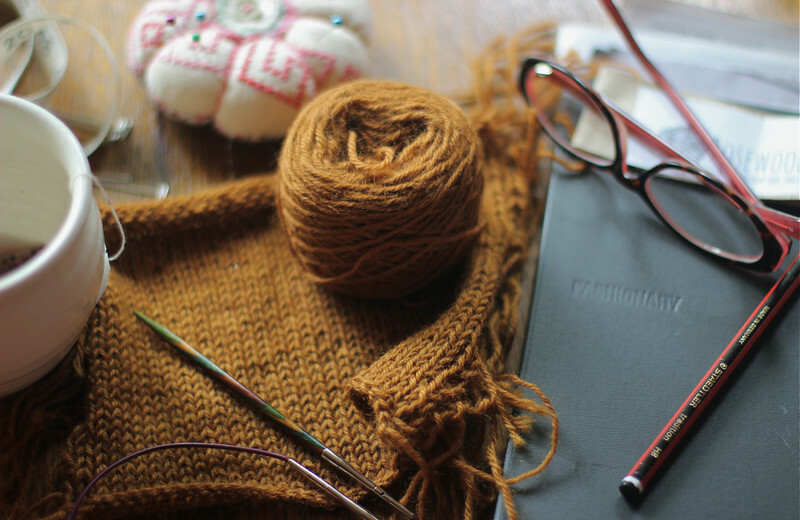 Well, I want that gorgeous, sloppy, cosy, rustic, gingerbread, farm yarn sweater and I've begun designing one. The yarn is totally different to anything that I've knitted with lately. For a very long time in fact. It's harder and crunchier than a merino or blue-faced leicester. It sits exactly where it's told, unlike an alpaca or silk. According to the blurb that came with the wool, this Romney worsted spun wool comes to life as it knits. It appears finer than other yarns (this is a DK) but after washing and blocking it blooms beautifully and settles into a more standard gauge for it's weight. I'm told it'll soften with wear and washing and it'll hardly pill. Don't these sound like fantastic attributes for a sweater I intend wearing day in and day out? I think so and I'm loving playing around with it. Now I've begun I'm letting myself be swept along and feel super excited about my new project. I'll tell you a bit more about the design as I go so you can enjoy the process too - I've got a bit more swatching to do yet, to see if my ideas will look as good in the wool as they do in my head and I've got a bit of learning to do to make sure this sweater fits and falls just the way I want it to. In the meantime, if you want a play with some fantastic Romney wool too - check out Rosewood Wool on Instagram - I believe they've got some skeins available to buy right now. 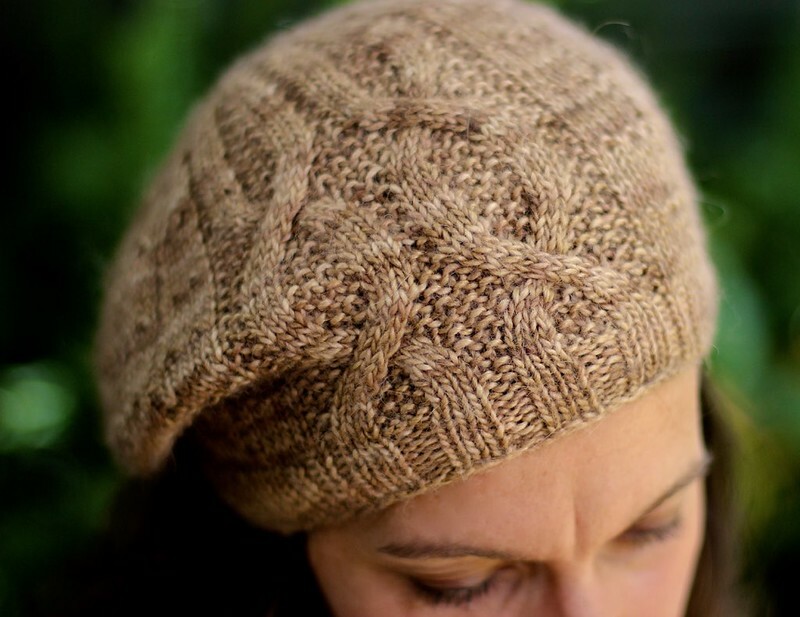 I'm excited to let you know that my Reminisce Hat pattern has been published! Reminisce is a gorgeous slightly-slouchy hat that is super flattering to wear. I blocked my hat in the photos over a dinner plater to emphasise the gentle beret shaping and I love pulling it down over my ears and off to one side. This hat was designed with good friends from England in my mind. I really miss those lovely people and am so grateful for the wonderful years we spent together. It feels good to knit those feelings into something beautiful. "Picture a smouldering fire, good company, lively conversation and laughter late into the night. Reminisce celebrates dear friends and happy memories. 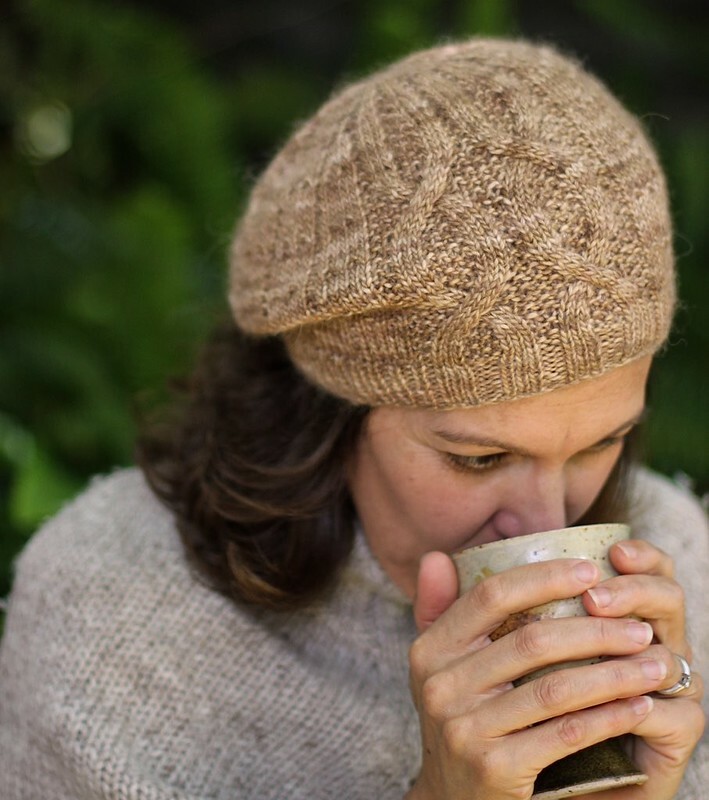 Knitted in the round from the bottom up this deliciously textured hat is one to treasure, just like great times with darling people. Featuring an all over “block” pattern and gorgeous trailing cable panel, Reminisce warms our hearts and our heads. The “shallow slouch” shape, a blend between a slouchy hat and beret, is feminine & flattering. 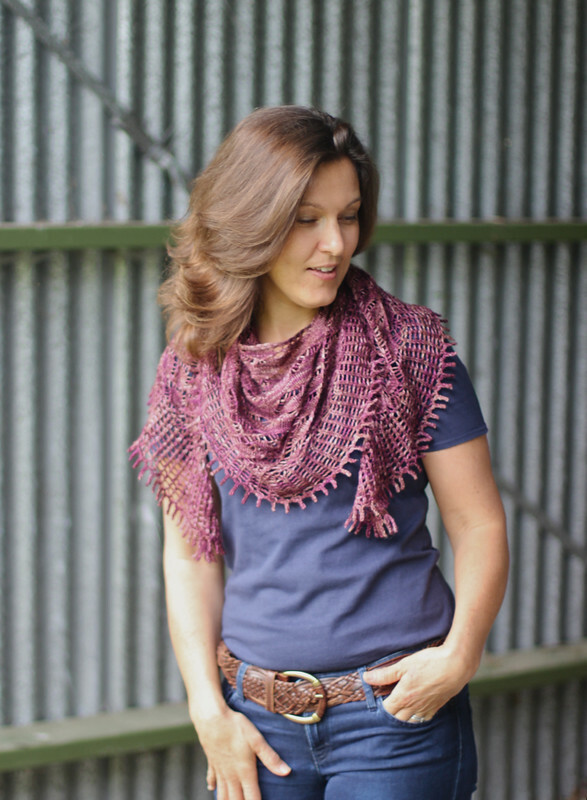 Reminisce is an entertaining knit including written & charted instructions. Ideal for experienced knitters and adventurous beginners." The cable panel, set against a deliciously textured background, really shows off beautiful yarn. It's not a tricky cable pattern and although I used a cable needle to knit mine, you could manage the cables without one. As is usual with my patterns, I've included both written and charted instructions where possible. When I'm knitting, I mostly prefer charted instructions. Have you used a chart before? Do you know how to read them? If you don't, keep your eyes peeled here on the blog because I've got a lesson in chart reading coming very soon. The body of my Reminisce hat is slightly detailed too. A simple "block" stitch turns the stockinette into something a bit more interesting. It's easy to knit and you'll find yourself automatically knitting that part after a couple of rows. I've used a soft DK blend for my hat. It's a single spun, hand-dyed, alpaca/merino/silk blend that shows the detail in the pattern well and drapes gently. Maybe you've got a skein of DK stashed away that'd be just perfect? If you'd like to buy the pattern you can click here to be redirected to my ravelry shop. Or, click the "Reminisce" button in my sidebar. You don't need to be a member of ravelry to buy a pattern. Thank you! 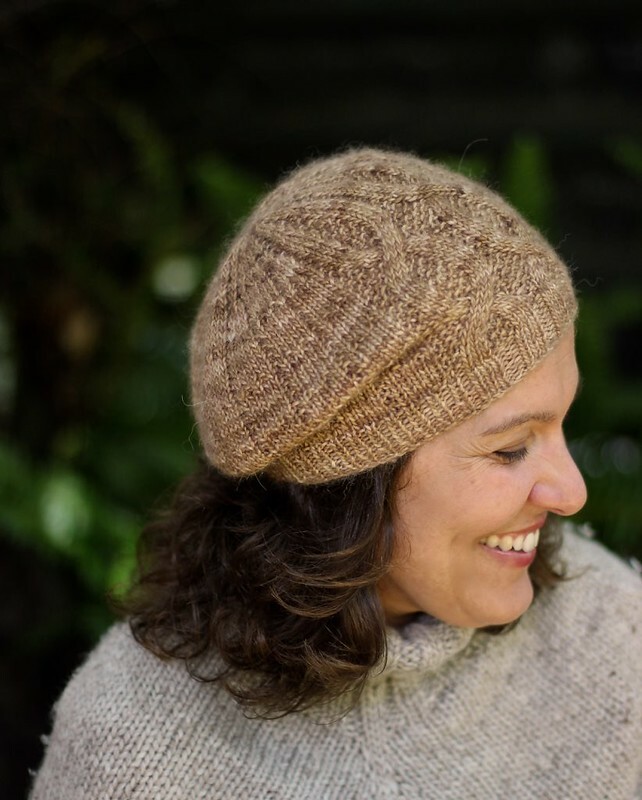 I'm so looking forward to seeing your hats - if you've got a ravelry account be sure to pop pictures of you hat on your project page so I can find it!